A "saying" or and "idiom" is a word or expression whose meaning cannot be completely understood solely from the words used. In Spanish, they are referred to as "refranes" or "dichos". Do NOT attempt to translate a Spanish saying word-for-word - it will be meaningless. Yet, sayings and idioms are necessary for day-to-day communication with native Spanish speakers. 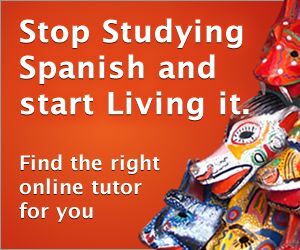 Unfortunately for the student, Spanish idioms vary in every country where Spanish is spoken! Idioms beginning with "A" Idioms beginning with "B"
Idioms beginning with "C" Idioms beginning with "D"
Idioms beginning with "E" Idioms beginning with "F"
Idioms beginning with "G" Idioms beginning with "H"
Idioms beginning with "I" Idioms beginning with "J"
Idioms beginning with "L" Idioms beginning with "M"
Idioms beginning with "N" Idioms beginning with "O"
Idioms beginning with "P" Idioms beginning with "Q"
Idioms beginning with "R" Idioms beginning with "S"
Idioms beginning with "T" Idioms beginning with "U"
Idioms beginning with "V" Idioms beginning with "Y"